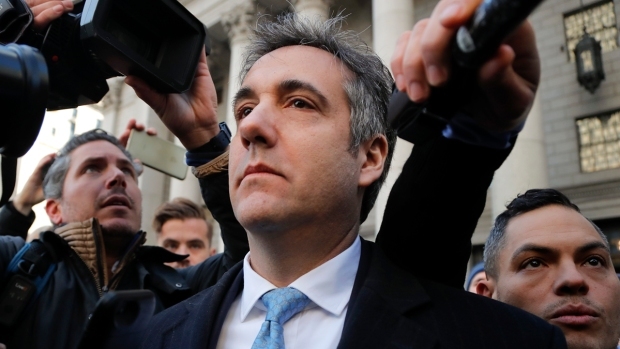 Michael Cohen lobbed another legal bombshell at former boss President Trump in a federal guilty plea. Chris Glorioso reports. 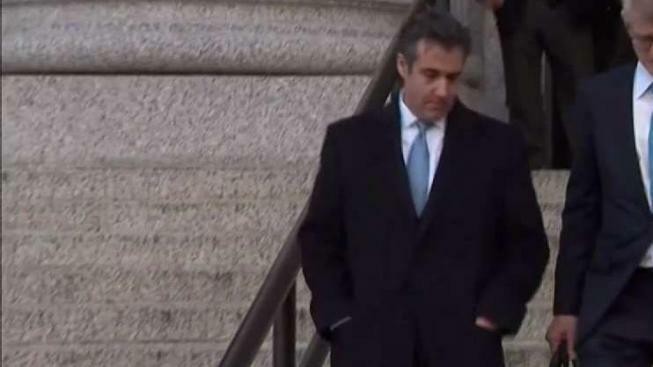 Ex-Trump attorney Michael Cohen pleaded guilty Thursday to lying to Congress about a real estate project in Russia that he was working on on Trump's behalf, revealing that negotiations lasted into Trump's campaign for Republican presidential nomination. In a surprise appearance in Manhattan federal court Thursday, Cohen admitted he made false statements in 2017 to the U.S. Senate Select Committee on Intelligence about a plan to build a Trump Tower in Moscow. He told a judge he did it "out of loyalty" to Trump, and to align with this "political messaging." Cohen's admission — his second guilty plea connected to Trump — indicated that his communications with Trump about the project were much more frequent than he had suggested. Members of Congress said the development underlines the importance of telling the truth at congressional hearings, and the remarks may come under more scrutiny when Democrats take control of the House in January. In response to Cohen's plea, Trump called him "a weak person" who is lying to get leniency from prosecutors. He also said that running for president "doesn't mean I'm not allowed to do business." Cohen struck the deal with special counsel Robert Mueller, who is investigating Russian interference in the U.S. election and any ties Trump's campaign may have had to it. Nothing said in court, or in associated court filings, addressed whether Trump or his aides had directed Cohen to mislead Congress. Trump submitted written answers to a series of Mueller's questions last week, and current Trump attorney Rudy Giuliani told NBC News Thursday that those answers were consistent with what Cohen said in court. Criminal information submitted by Mueller maintains Cohen "knowingly and wilfully made a materially false, fictitious, and fraudulent statement and representation" around Aug. 28 of last year. He said he also lied about his contacts with Russian officials and lied when he said he never agreed to travel to Russia in connection with the project and never considered asking Trump to travel to support the project. 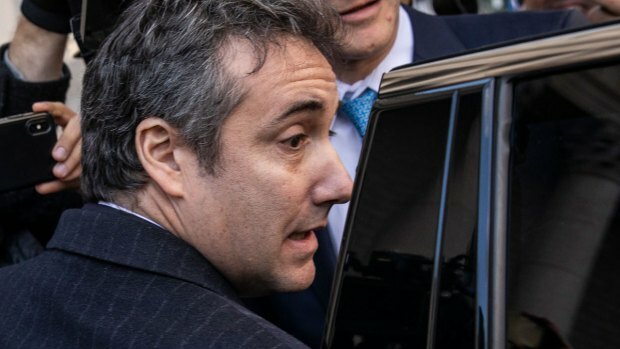 Neither Cohen, wearing a navy suit and blue tie, nor his attorney commented on the matter as they left court shortly before 10 a.m.
After the news broke, Trump maintained Cohen was "lying very simply to get a reduced sentence," calling him "a weak person" and "not a very smart person." "I didn't do the project, I decided not to do the project," Trump told reporters outside the White House Thursday as he left for the G-20 summit in Argentina. "We're talking about not doing a project." Cohen was convicted on "various things unrelated to us," Trump went on to say. "This deal was a very public deal," he said. "I wasn't trying to hide anything." The White House didn't comment on Cohen's Thursday plea. Outgoing House Speaker Paul Ryan addressed the issue during a forum with The Washington Post, saying that Cohen "should be prosecuted to the extent of the law." Cohen's plea is "very significant," said Rep. Adam Schiff, D-Calif., who is slated to take over the chairmanship of the House Intelligence Committee in January. The committee has been investigating Russian election interference as well, though Schiff has said the Republicans leading the investigation were unwilling to investigate as deeply as they should have. Schiff told reporters Thursday that "we believe other witnesses were untruthful before our committee. We want to share those transcripts with Mr. Mueller." The new plea comes just two weeks before the 52-year-old attorney is scheduled to be sentenced for an August guilty plea. In that case, brought by federal prosecutors in New York, he pleaded guilty to federal charges involving his taxi businesses, bank fraud and his campaign work for Trump. The new chrages were handled by Mueller's team. The Russia investigation has dogged the president for two years and ensnared members of his inner circle. He continues to face criticism for refusing to rule out a pardon for one of those inner circle members -- former campaign manager Paul Manafort. In recent weeks, Trump, armed with inside information provided to his lawyers by Manafort's legal team, has sharpened his attacks, seizing on what he claims are dirty tactics employed by Mueller and accusing investigators of pressuring witnesses to lie. Trump hasn't been charged with any wrongdoing, but federal prosecutors have said that a grand jury probe is ongoing and it targets unspecified "others." Court papers show Trump's conduct and that of top executives at the Trump Organization, some of whom have received immunity, have been scrutinized.